Clam chowder and short-rib sandwiches go up against meaty chili and grilled ribs in a Super Bowl recipe showdown. 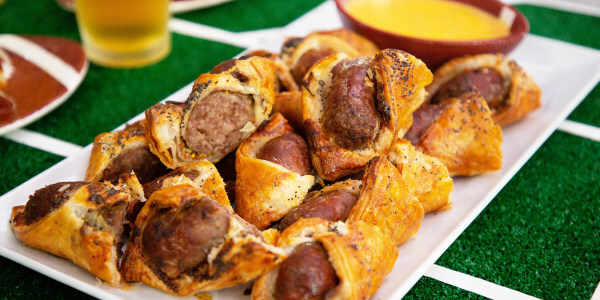 Chefs Jason Santos and Ben Ford are pitting their best tailgating recipes against one another to see which comes out on top. 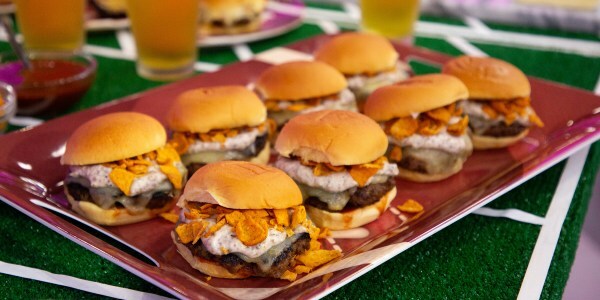 They're each cooking delicious dishes that represent their hometown teams competing in Super Bowl LIII. Chef Santos prepares tender short-rib sandwiches and classic New England clam chowder for the Patriots. 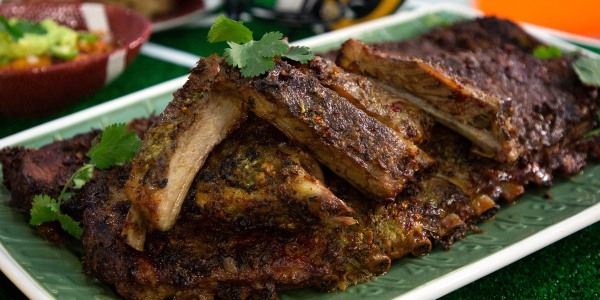 Chef Ford is making spiced chili with avocado and garlicky grilled pork ribs for the Rams. 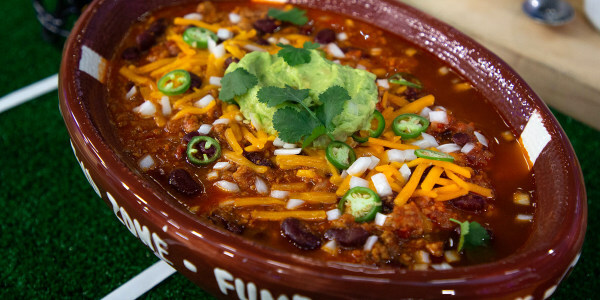 This classic chili brings all the earthy, spicy, meaty flavors you're looking for. The creamy avocado adds a cooling element to this hearty dish. Finishing the ribs on the grill returns a "bark" to the meat giving them an authentic smoked texture. The red chile-garlic oil, flaky sea salt and lemon add a last dash of spice and brightness. 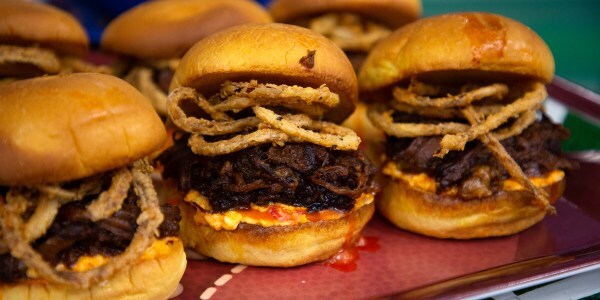 I love this recipe because it hits all the textural notes with tender short ribs, creamy pimento cheese and crispy fried onions. You'd be hard pressed to find a more satisfying sandwich! Since I'm from Boston, "chowdah" is one of my favorite things to make. 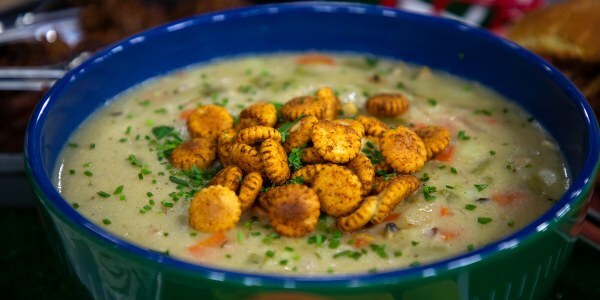 I gave this classic New England dish a special spin with smoky bacon and spiced oyster crackers.